Besides the Upaniṣads, the origins of materialism in India can be traced to tales found in both Buddhist and Jaina works. One such tale, the conversation between King Pāyāsi (Paesi) and a Buddhist or a Jaina monk, has been cited as an instance of materialism[i]. The story, found both in Buddhist and Jain sources[ii], testifies to the prevalence of a nonconformist attitude that denied the idea of the immortal soul surviving after the death of the body in which it previously resided. Pāyāsi is a nonbeliever in the existence of the other-world, rebirth, and reward and recrimination of one’s deeds after death. “Neither is there any other-world, nor are there beings reborn otherwise than from parents, nor is there fruit of deeds, well done or ill done,”—this sentence uttered by Pāyāsi is quoted and quoted again throughout the Buddhist canonical texts. Pāyāsi states his conclusion on the basis of his own observations and experiments. The Buddhist or Jaina monk who is in discussion with Pāyāsi offers a series of similes, and we are told that by means of analogy he succeeds in converting King Pāyāsi to a faithful believer in afterlife, rebirth, and karmic consequences of one’s deeds. Here we have not only the conflict between a nonbeliever and a believer (not in the existence of god or gods, but only in the existence of the other-world) but also the first specimens of the inductive method of inference, with actual observation and experiment on the one side, and employment of analogy on the other. This contraposition of sense perception and analogy is one of the most notable features in the early history of Indian logic. Ajita cannot be described as a full-fledged materialist, for the exposition is too brief to be considered an adequate exposition of any actual doctrine. Pāyāsi’s declaration forms the staple of Ajita’s doctrine of annihilation (ucchedavāda), the first known hint of the materialist doctrine in India. The early history of materialism can also be traced in the two epics, the Rāmāyaṇa and the Mahābhārata (redacted between the fourth century BCE and the fourth CE). The Jābāli episode in the Rāmāyaṇa (Ayodhyākāṇḍa, canto 100 in the critical edition, canto 108 in the vulgate) offers an example of nonconformism in relation to the other-world. There are several references to the cosmogony of the Sāṃkhya system of philosophy in the Book of Peace (Śāntiparvan) of the Mahābhārata, particularly in 12.180.11–18. A question is raised. The atmospheric wind, the prāṇa wind (the chief of the five winds inhering in all living humans), and the soul are admitted to be three distinct entities; so when at death the prāṇa wind is assimilated and lost in the atmospheric wind, the soul—the third thing—ought to be nevertheless perceptible as such. Yet it is not; why so? Nīlakaṇṭha, a late commentator on the Mahābhārata, presumes that the objection has been raised by Bharadvāja by placing himself on the Lokāyata doctrine (lokāyatamate sthitvā ākṣipati). Belvalkar, though, objects to this identification: “[T]he question of Bharadvāja is pitched on a much higher key than that of a mere Cārvāka …”[iii] ; and indeed the confusion between early Sāṃkhya and Cārvāka is understandable but unwarranted, for they represent two different facets of materialism, separated by several centuries. Several dialogues in the Mahābhārata are in one way or the other connected with Sāṃkhya rather than Cārvāka; on the other hand, there are accounts of disputes between idealists and materialists (e.g., 12.211.22–30) that refer to a non-Sāṃkhya materialism, allied probably to one of the pre-Cārvāka schools. (a) Instead of five elements (including ākāśa or vyoma, space) as their principle (tattva), the Cārvākas speak of four, excluding space, presumably because the fifth is not amenable to sense-perception. (b) The bhūtavādins believe in two kinds of matter: lifeless and living. Life originates from living matter, the body from the lifeless. The Cārvāka do not believe in such duality; to them all beings/entities are made of the same four basic elements. (c) Some pre-Cārvāka materialists are accidentalists (yadṛcchāvādins): they do not believe in causality. On the other hand, the Cārvākas appear to have endorsed causality; they adopt a doctrine of svabhāva-as-causality rather than it’s opposite, namely, svabhāva-as-accident. (d) The Cārvākas admit the validity of inference insofar as it is confined to the material and perceptible world, not extended to invisible and unverifiable areas such as the imperishable soul, god, omniscient persons (which are admitted by the Buddhists and Jainas as well), the outcome of performing sacrifices called apūrva (as claimed by the Mīmāṃsakas), and so on. Some of the old materialists, on the other hand, reject inference as such as an instrument of cognition and knowledge, and cling to perception alone. Materialism in India has been known by other names too. One name that has stuck is the aforementioned, lokāyata (Sanskrit, Pali; logāyata in Prakrit). The word does not occur in the Vedas and its ancillary literature, or anywhere in the Pali tipiṭaka. From the Science of Polity by Kauṭilya (c.fourth century BCE) down to the present day it does occur in diverse texts, both philosophical and non-philosophical. In some of these sources lokāyata does not mean a system of philosophy. In Kauṭilya’s work lokāyata is associated with sāṃkhya and yoga; but it is not known whether by sāṃkhya Kauṭilya means the atheistic epic Sāṃkhya, as found in the Book of Peace of the Mahābhārata, nor is it known what he means by yoga: perhaps Nyāya, Nyāya-Vaiśeṣika, or the system of philosophy attributed to Patañjali, or something else[v]. The context suggests that lokāyata stands for any reason-based philosophy. Pali and Sanskrit Buddhist texts sustain only one meaning: disputatio, the science of disputation (vitaṇḍa(-vāda)-sattaṃ) as recorded by all commentators of the canonical and para-canonical texts as well as by the ancient lexicographers. In the Discourse on the Fruits of Being a Monk and the jātaka tales, it is the doctrine of Ajita Kesakambala which is called “the doctrine of annihilation,” and not lokāyata[vi]. There is another term in Prakrit to suggest the earliest form of materialism: “the doctrine of (it does) not exist” (natthikavāda or nahiyavāda)[vii]. In Sanskrit works we have the word nāstika, which is explained in two different ways: first as a doctrine preaching the nonexistence of the other-world, and later, as the doctrine that denies or defiles the Veda[viii]. Although nāstika is taken to be a term for Cārvāka alone by Buddhist and Jaina authors and lexicographers, to the Vedists such a designation as “nonbeliever” would refer to Buddhists and Jainas as well, for all three were non-Vedic or anti-Vedic in outlook. In the Maitrī Upaniṣad and the Purāṇas, we find an ancient story that Bṛhaspati, the preceptor of the gods, intending to deceive the demons, created a materialist system of philosophy. Due to this ancient purāṇic narrative, Bārhaspatya, “associated with Bṛhaspati,” comes about as a fourth name given to materialism. In some eighth-century works, all four names, that is, Bārhaspatya, Cārvāka, Lokāyata, and nāstika, have been used interchangeably[ix]. In Hemacandra’s Sanskrit dictionary (twelfth century), the four names are treated as synonymous. Besides these four names, Śīlāṅka, the Jaina commentator, uses another term, “the doctrine of the identity of the soul and the body” (tajjīva-taccharīra-vāda). This is one of the earliest records of “the doctrine of the (identity of) the body and the spirit.” Two other names are often found in later works: dehātma-vāda, the doctrine that says that the body and the spirit are the same, and bhūta-caitanyavāda, the doctrine that makes the elements and consciousness appearing as one[x]. We also learn of several schools of materialists, some believing in the existence of five elements, some in four, from the Sūtra-Kṛtāṅga-sūtra, a Jain canonical text. All of them are said to believe in the extinction of the soul or the spirit after the death of the body[xi]. Bhattacharya, Ramkrishna. Studies on the Cārvāka/Lokāyata. Firenze: Società Editriche Fiorentina, 2009; London: Anthem Press, 2011. Bhattacharya, Ramkrishna. “The Social Outlook of the Cārvāka/Lokāyata: A Reconstruction.” Indologica Taurinensia 36 (2010): 37–42. Bhattacharya, Ramkrishna. “The Wolf’s Footprints: Indian Materialism in Perspective.” Interview with Krishna Del Toso. Annali 71 (2011): 183–204. 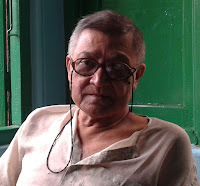 Bhattacharya, Ramkrishna. “Svabhāvavāda and the Cārvāka/Lokāyata: A Historical Overview.” Journal of Indian Philosophy 40, no. 5 (2012): 593–614. Bhattacharya, Ramkrishna. “Verses Attributed to Bṛhaspati in the Sarvadarśanasaṃgraha: A Critical Appraisal.” Journal of Indian Philosophy 41 (2013): 615–630. Chattopadhyaya, Debiprasad. In Defence of Materialism in Ancient India. New Delhi: People’s Publishing House, 1989. Chattopadhyaya, Debiprasad, and M. K. Gangopadhyaya, eds. Cārvāka/Lokāyata. New Delhi: Indian Council of Philosophical Research, 1990. Dixit, K. K. “The Ideological Affiliation of Jayarāśi—The Author of Tattvopaplavasiṃha.” In Cārvāka/Lokāyata, edited by D. Chattopadhyaya and M. K. Gangopadhyaya, pp. 520–530. New Delhi: Indian Council of Philosophical Research, 1990. Franco, Eli: Perception, Knowledge and Disbelief: A Study of Jayarāśi’s Scepticism. Motilal Banarsidass, Delhi 1994; 1st edition, Alt- und Neu-Indische Studien 35, Stuttgart: Franz Steiner Verlag, 1987. Jayarāśibhaṭṭa. Tattvopaplavasiṃha of Jayarāśibhaṭṭa. Tr. Esther Solomon; ed. Shuchita Mehta: Jayarāśi Bhaṭṭa’s Tattvopaplavasiṁha. An Introduction, Sanskrit Text, English Translation and Notes. Parimal Sanskrit Series 111. Delhi: Parimal Publications, 2010. Saṁghavī, Sukhlāljī; Pārīkh, Rasiklāl C., eds. Tattvopaplavasimha of Shri Jayarasi Bhatta. Edited with an introduction and indices. Gaekwad Oriental Series 87, Baroda: Oriental Institute, 1940; reprinted, Bauddha Bharati Series 20, Varanasi: Bauddha Bharati, 1987. [i] Erich Frawallner (History of Indian Philosophy, vol. 2 [Delhi: MLBD, 1971], 216) has even claimed Pāyāsi to be “the first materialist.” It is a glaring example of mistaking fiction for fact. There is no proof of the existence of a king called Paesi, who had conducted some experiments to find out the nature of the soul. Moreover, the narrative highlights only one aspect of materialist thought, namely, denial of the existence of any immortal soul, and hence of the doctrine of karman and its consequent, namely, rebirth. Therefore, it will not be justified to treat the Paesi legend as a true exposition of the materialist doctrine as a whole. [ii] The names and hence the characters in the narratives in the Buddhist canonical work (“The Discourse of King Pāyasi” (Pāyasi(rajañña)-suttanta) in The Long Discourses [Dīgha Nikāya]) and the two Jain secular works (Dialogue of King Prasenajit (Rāyapasenaijja) and Haribhadra’s Story of Samarāditya (Samarāiccakahā)) vary widely, the original story must have been the same. It was presumably manufactured to discredit those who did not believe in the immortality of the soul. This task is accomplished by a Buddhist monk in the Buddhist Pāyasi discourse, and by a Jain monk in the two Jain versions of the story. The dialogue between the king and a Buddhist or Jain monk is a well-known and oft-used narrative device encountered in many later works, such as Āryaśūra’s The Garland of Birth Stories (Jātakamālā), Somadeva’s long poem dealing with various religious and philosophical issues from the Jain point of view (Yaśastilakacampū), and the Jain scholar Hemacandra’s Lives of Sixty-Three Eminent Persons (Triṣaṣṭi-Śalākā-Puruṣa-Carita). The same device is found even earlier in Saṅghadāsagaṇi’s (sixth/seventh century CE) The Wanderings of Vasudeva (Vasudevahiṃḍī). For details see R. Bhattacharya, “Pre-Cārvāka Materialism in Vasudevahiṃdī,” Jain Journal 43:3 (2009) 102–109. [iii] Dahlmann, Joseph, Die Sāṃkhya Philosophie Berlin: Felix L. Demes, 1902, S 193, The Mahābhārata, Critical Edition, Śāntiparvan, ed. S. K. Belvalkar (Poona: Bhandarkar Oriental Research Institute, 1951) 2157 col. 2. Presumably Belvalkar, like many others before and after him, employs the name Cārvāka figuratively (synecdoche, an individual for the class) to suggest any materialist. [iv] Maṇimēkalai, trans. Prema Nandakumar (Thanjavur: Tamil University, 1989), 27.265–77. [v] For details see Bhattacharya, Studies on the Cārvāka/Lokāyata, chap. 10. [vi] A Pali canonical source, however, mentions seven kinds of ucchedavāda (“Brahmajālasutta,” 1.3.84–91. Dīghanikāya (Patna: Pali Publication Board, 1958), 30–32. But nothing definite is known about the kinds other than that of Ajita’s. All these doctrines mentioned in the “Brahmajālasutta” are part of the sixty-two heresies (diṭṭhiyo). Neither the text nor its commentators are of any assistance in knowing about such doctrines as eternalism, whose adherents held that the self and the universe are eternal. This doctrine too is of four kinds. There are references to sixteen kinds of the doctrine that held that the spirit is conscious after death and eight kinds of its opposite doctrine, which held that the spirit is unconscious after death. We are further told that there were eight kinds of yet another doctrine that held that the spirit is neither conscious nor unconscious after death. [vii] Saṅghadāsagaṇi Vācaka, Vasudevahiṃḍī Prathama Khaṇḍam, ed. Caturavijaya and Punyavijaya (1930–1931), (Gandhinagar: Gujarat Sahitya Akademi, 1989), 169, 275, and A. P. Jamkhedkar, Vasudevahiṃḍī: A Cultural Study (Delhi: Agam Kala Prakashan, 1984), 184. [viii] Cf. Manu-smṛti 2.11: “The nāstika is a defiler of the Veda” (nāstiko vedanindakaḥ). Manu-smṛti with Nine Commentaries, ed. J. H. Dave (Mumbai: Bharatiya Vidya Bhavan, 1975), vol. 2. [ix] See Jinendrabuddhi, Viśālāmalavatī Pramāṇasamuccayaṭīkā, ed. Ernst Steinkellner et al. (Beijing: China Tibetology Publishing House and Vienna: Austrian Academy of Sciences Press, 2005), 24: atha vā cārvākaṃ pratyetaducyate…. Haribhadra, Ṣaḍdarśanasamuccaya with Guṇaratna’s and Somatilakasūri’s commentaries and an anonymous Avacūrṇi (Calcutta: Bharatiya Jnanapitha, 1969), chap.6. The chapter is devoted to the exposition of Lokāyata (lokāyatā vadanty evam, etc. verse 80a), but in verse 85d we read: cārvākāḥ pratipedire. See also Kamalaśīla who, in his commentary, Pañjikā (Śāntarakṣita, Tattvasaṃgraha with Pañjikā by Kamalaśīla [Varanasi: Bauddha Bharati, 1968, 1981]) on Tattvasaṃgraha, chapter 22, entitled “Lokāyataparīkṣā,” uses the names Cārvāka and Lokāyata interchangeably. See TSP, II: 639,649,657,663,665, also II: 520 (bārhaspatyādayaḥ), 939 (lokāyataḥ), and 945 (lokāyatam). [x] For example see Śaṅkarācārya, on Brahmasūtra 1.1.1 (Delhi: Motilal Banarsidass, 1988); Vyomaśiva, Vyomavatī, vol. 1 (Varanasi: Sampurnanand Sanskrit Vishvavidyalaya, 1983–1984), 155. [xi] See Ācāraṅgasūtram and Sūtrakṛtāṅgasūtram with Niryukti of Ācārya Bhadravāhu Svāmī and the Commentary of Śīlāṅkācārya, ed. Ācārya Sarvanandājī Mahārāja, re-ed. with Appendix by Muni Jambuvijayaji (Delhi: MLBD Indological Trust, 1978), 10–19. When anyone wants to write on any dimension of Vedic literature he/she must be family with the hierarchical order. The puranas, epics, smritis are taken as a proof when they go in the line of Vedas and Upanishads are part and parcel of that. Materialism is present in many Upanishads and they have not rejected its value. It may be the last chapter of Brhadaranyaka or Chandogya or Taittirya or garbho or several others. Shruti or Veda respects the grasping power of every person and teaches according to that. There are 3 formulas to judge the authenticity of scriptures and reliability of own meaning or conclusion. Unfortunately they are not used and own ideology in different names comes in the picture. This article is giving a set of good information but it would have been better to use the formulas to judge the material taken from various sources. The problem of interpretation is a big hurdle and this article couldn't cross that. The definition of nastika is the best and easiest example. The only meaning is fool and it was given in Yaksha samvad in vanaparva. That is a dialogue of 124 questions. The commentator Nilkantha took it as a non believer in paraloka. The meaning 'fool'is the authentic and have been used in this sense in Mahabharat in vidura niti and by bhishma. Rest of the meanings are sponsored ones and that can be proved by matching and the use of formulas. Panch adhikarana or one given in nyaya or one accepted by the lineage of researchers.